Calling all pianists! 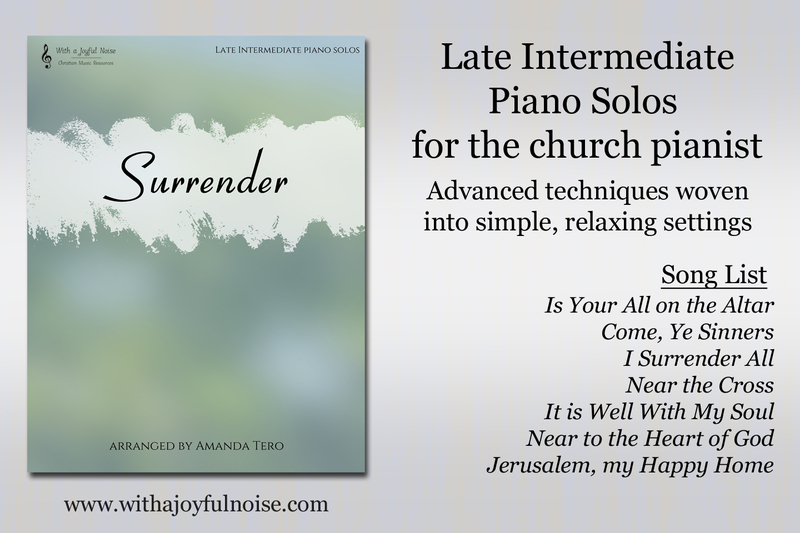 With a Joyful Noise has released a new piano solo book for late-intermediate to early-advanced pianists. 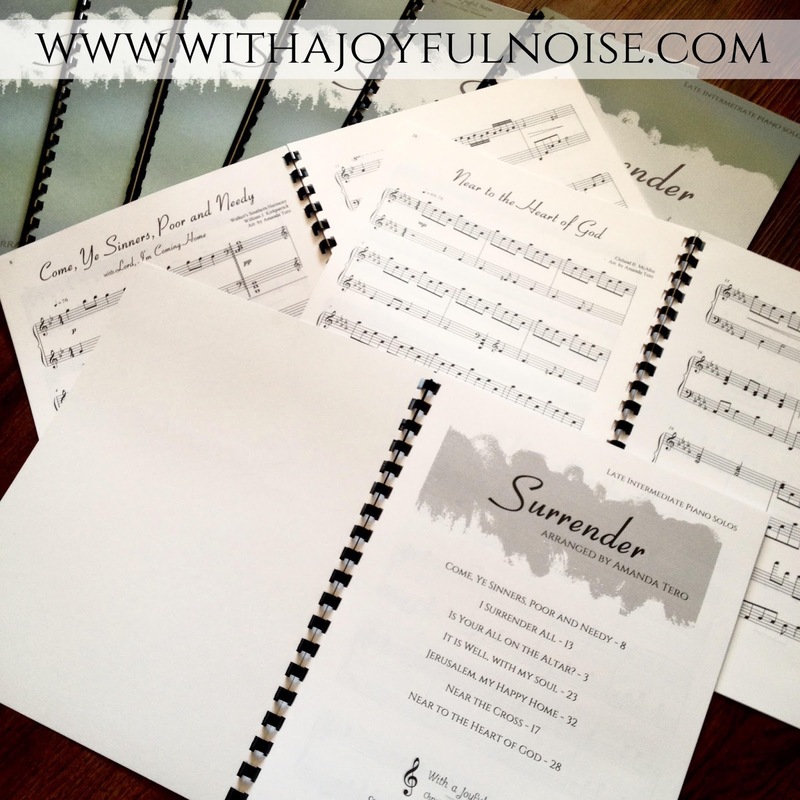 Whether you are your church's pianist or you simply enjoy learning new music for personal enjoyment and reflection, finding new music books is always a joy. 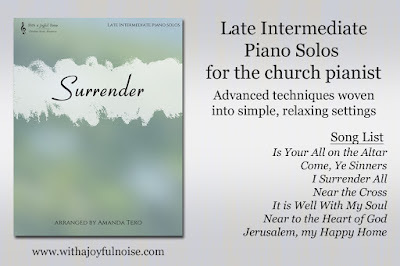 Coming from a church pianist who knows the struggle of finding new offertories, Amanda Tero has taken timeless songs and woven advanced techniques into simple, relaxing settings. need for Christ and turned fully to Him? Have we truly surrendered all to Him? Are we daily seeking to be near Him so that we can say in assurance, “It is well with my soul?” Are we eagerly awaiting His eternal plans for us or do we still cling to that which will one day fade away? Visit www.withajoyfulnoise.com or email Amanda at withajoyfulnoise@gmail.com for more information on purchasing your own copy (digital or print). Amanda Tero is a born-again believer in the Lord Jesus Christ, currently living and teaching in Mississippi. She has played piano since 1998, studying under Karen Tero, Donna Hopkins, and Shelley Hayes. The Lord has given her opportunities to be involved in accompaniment, congregational playing, hymn-arranging, and recording since 1999. Be sure to hop by the other great blogs that are featuring Surrender on their blogs this month!